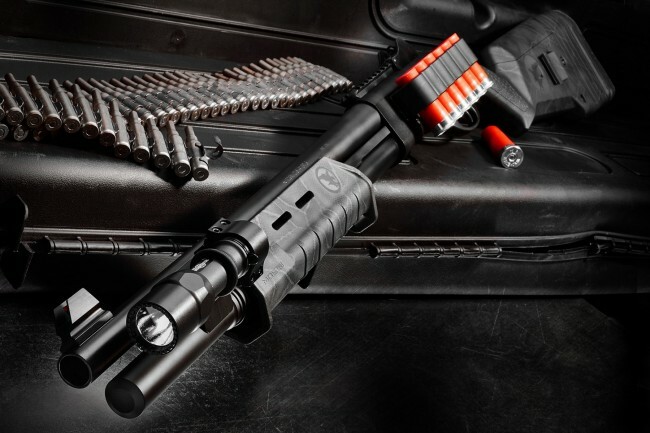 Whether you are a civilian wanting an optimal home defense weapon, or a law enforcement professional, we can fulfill your needs! 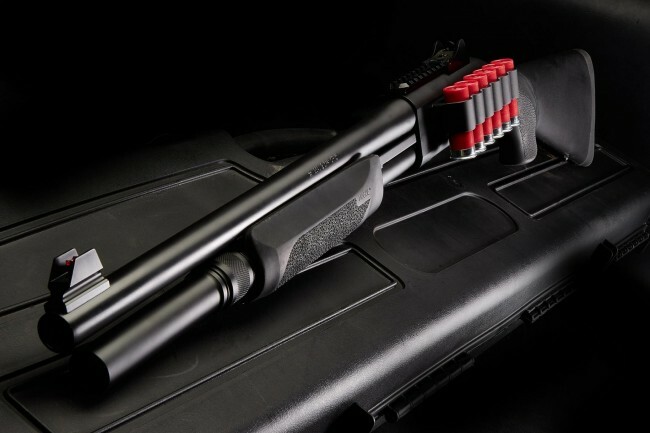 The Overseer Line starts with the historic Remington 870 Shotgun which is completely disassembled and customized by a single Nighthawk Gunsmith. The action and rails are hand honed for smoother operation which is essential for fast follow up shots. Two shot extension tubes are added along with our fully machined sights. They feature fully adjustable ghost ring apertures that are adjustable for elevation and windage. 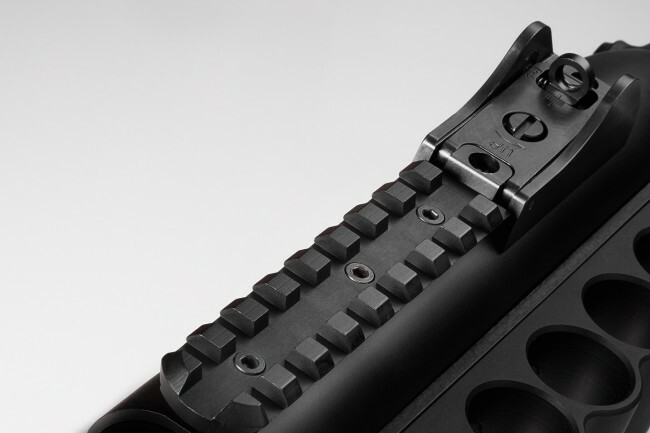 Front and rear sights are fully shrouded for protection against being knocked out of adjustment or damaged if dropped. 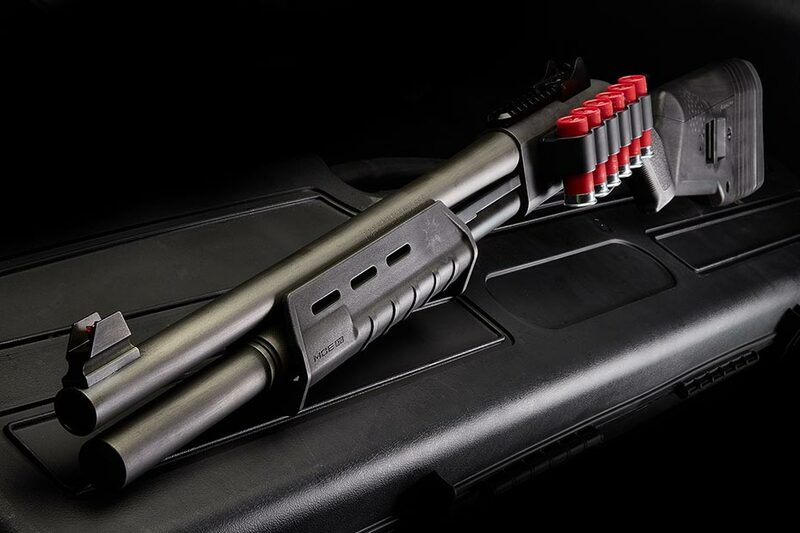 Every Nighthawk shotgun is finished with CeraKote. Finishes differ from all black to full custom. 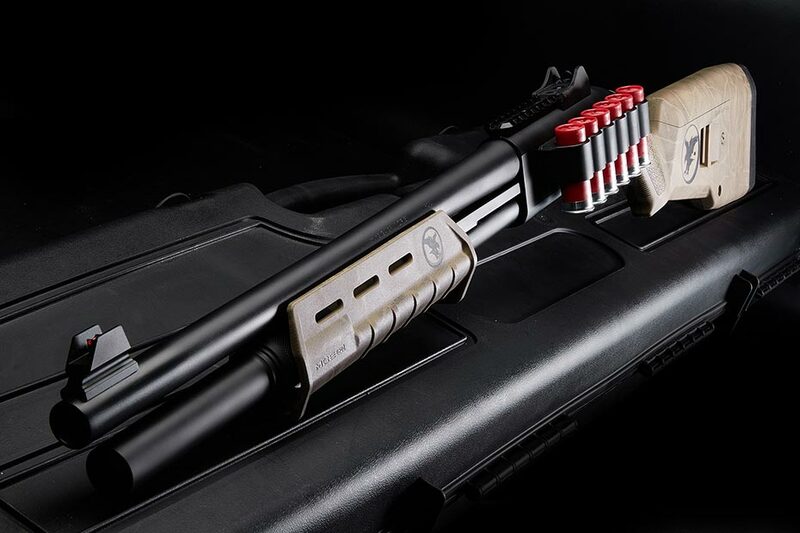 Our six round side shell carrier and fast action tactical safety are the final standard components on every shotgun we build. 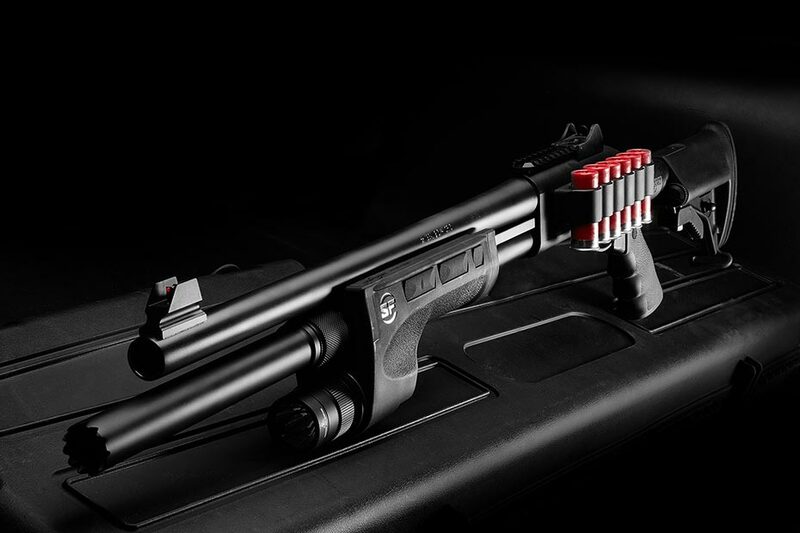 The shell carrier is made from a one piece aluminum billet that is hard anodized to military spec and the dome on the safety is so pronounced that you can release the safety while acquiring the trigger in the same move. 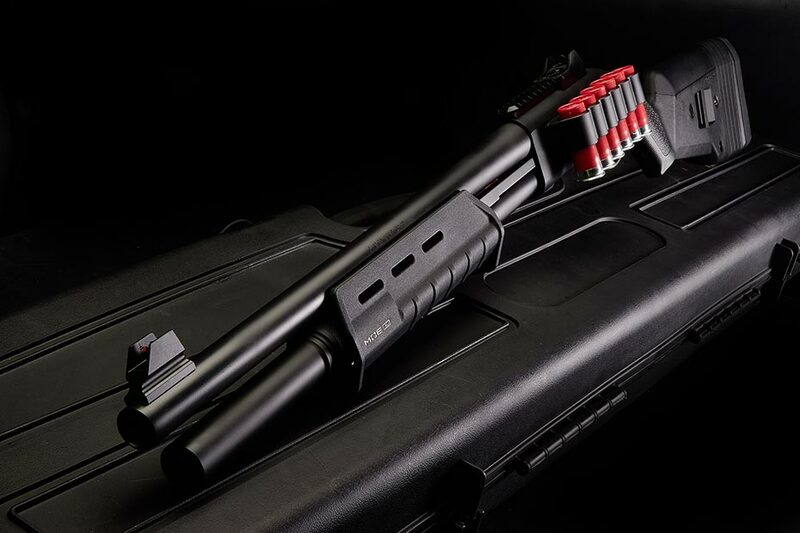 We can provide you with the complete custom shotgun package that has proven it-self to be the most intimidating, effective and versatile of any weapon deployed in an urban environment. Finish requires little or no maintenance (withstands 2000 salt bath submersion) highly limits rust worry, no matter how you carry it or where you store it. Nighthawk stands behind it products and offers the best warranty in the industry. Overseer Model 1 Nighthawk Tactical Remington 870 Express Shotgun, Customized 12 gauge. Hand Honed Action and Rails. Nighthawk's Custom Tactical Ghost Ring rear black sight and front red fiber optic sight. 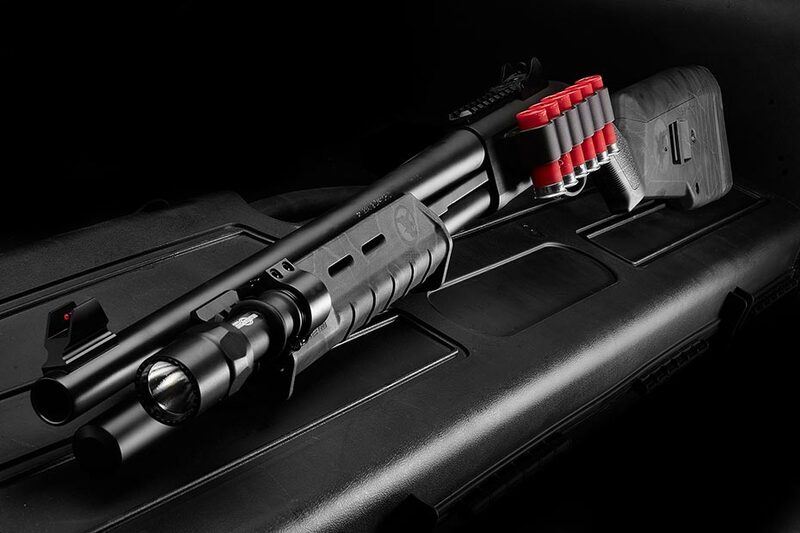 Receiver mounted Picatinny Rail, 6 round side saddle, two shot extension tube, 6 + 1 capacity, Hogue overmolded stocks, and black Cera-Kote rust resistant finish, complete the custom package. Government Export Restriction This item may be regulated for export by the U.S. Department of State or the US Department of Commerce. Please see our Export Policy. ITAR Product By adding to cart, I understand, acknowledge, and agree to the Export Policy. I am a US Person, and I do not intend to export this product. Please see our Export Policy. "Democracy is two wolves and a lamb voting on what to have for lunch. Liberty is a well armed lamb contesting the vote" --Benjamin Franklin, 1759. 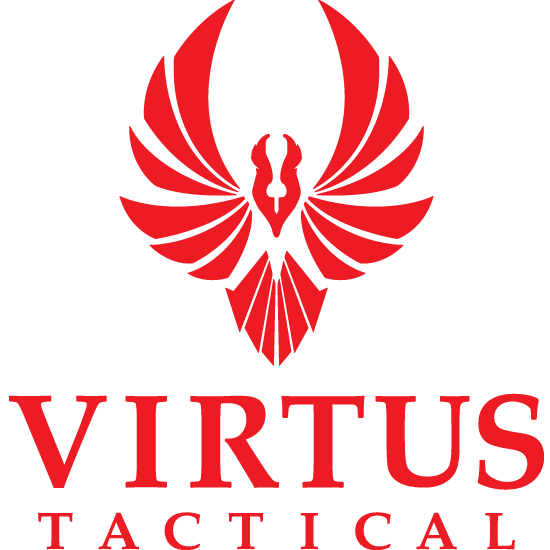 © 2015 Virtus Tactical. All Rights Reserved.